The EUR/USD pair stalled its steady recovery path just ahead of 5-DMA located at 1.1292 at Tokyo open, and from there continues to trade in a flat-line below 5-DMA. Currently, EUR/USD trades +0.07% higher at 1.1290, having found strong support at 1.1280. The main currency pair traded comatose almost throughout the Asian trades, and now extends the range-play into the early European trading, as markets refrain from creating fresh positions in the major ahead of the highly influential event for today, Yellen’s speech. 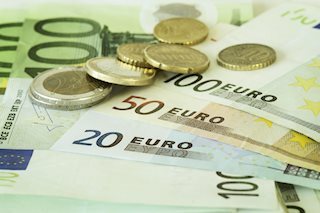 The EUR/USD pair, although manages to find some support from lower Asian equities, which underpins the funding currency euro, while the corrective rally fails to gather momentum in absence of fresh fundamental triggers. Focus shifts to the US GDP report due to be published in the NA session, while the major remains at the mercy of the Fed Chair Yellen’s remarks. In terms of technicals, the pair finds the immediate resistance 1.1300 (round number). A break beyond the last, doors will open for a test of 1.1367 (post-Brexit high). On the flip side, the immediate support is placed at 1.1257/50/46 (daily S1/ psychological levels) below which 1.1217/00 (20 & 100-DMA) could be tested.